Have you been told you have pre-diabetes (higher blood sugars than normal, but not yet diabetic), or recently been diagnosed with Type 2 diabetes? Concerned about getting heart disease and want to take steps to prevent it? 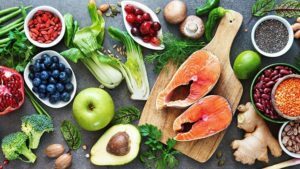 The world of nutrition is a confusing place, but there’s one diet most experts agree is the healthiest- the Mediterranean diet, hailing from sunny Greece, Spain and Italy. Studies show it can help prevent Type 2 diabetes, reduce the risk of heart attack, stroke, and dementia and may also prevent some cancers. Diets rich in fibre, like the Mediterranean diet, can also help people with diabetes maintain healthy blood sugar levels. One of the reasons it is thought to be so healthy is that it focuses on natural, high quality, unprocessed foods that are low in sugars and harmful fats. One of the key elements of the Mediterranean diet is the amount of vegetables and fruit it includes. Try and eat as many different types of fruit and vegetables, of different colours, as you can, so you get the different nutrients on offer. Eating plenty of vegetables with some fruit gives us all important fibre for our bowels; and enjoying a variety of foods helps the ‘good’ bacteria that live in our guts to thrive. Having a healthy gut with lots of healthy gut bacteria, helps you fight infection, keeps your bowels regular and may even lighten your mood. If you find chopping or preparing difficult, try the pre-chopped vegetables or soup mixes from the supermarket and cook in bigger batches, freezing anything extra you make. Ready-made soups can also be a great way of increasing your vegetable intake. Washed and prepared salad bags and bowls can be helpful too. Try and keep to the “half plate rule” where half your plate is full of vegetables and salad at both lunch and suppertime. If you are diabetic, you may wish to choose lower sugar fruit such as berries, apples and pears and stick to 1-2 pieces a day. Try and avoid fruit juice and shop-bought smoothies which are often very high in sugar. All fat is bad, right? Wrong! Healthy fats, or mono-unsaturated fat, like those found in extra virgin olive oil, olives, avocados, nuts and seeds, can help to prevent heart disease and reduce cholesterol. Olive oil is the heart of the Mediterranean diet. It used to be very expensive, but you can now get it in discount supermarkets such as Aldi and Lidl, at a much more reasonable price. You can use it to cook with, as a dressing and for flavouring food. Regularly eating around 30grams of nuts a day can help lower cholesterol and protect your heart without making you put on weight. Try adding them to salads or porridge, or have them as a snack instead of crisps. Try and aim for at least 2 portions of oily fish a week – they include salmon, mackerel and tuna. Oily fish is high in Omega-3s, which are thought to keep your heart healthy. Tinned sardines and mackerel are a cheaper way to get your intake of oily fish. You can eat red meat can on the Mediterranean diet, but usually much less often, and no more than once a week. Quality is crucial –it’s far better to enjoy a good quality steak once a week than it is to eat cheap sausages or burgers more regularly. You can also have white meat such as turkey and chicken, another good source of protein, two to three times a week. Protein is important for maintaining muscles, especially important as we get older. The Mediterranean diet recommends dairy products, like cheese, milk and yoghurts as they provide calcium to keep bones strong. Avoid low fat yogurts where the fat is often replaced by sugar. Another part of the Mediterranean diet is legumes such as chickpeas, lentils, kidney beans and soya-beans. These are cheap, healthy and easy to cook with. They provide both protein for muscle maintenance and carbohydrates. Add these to soup mixes to make substantial and filling lunches. 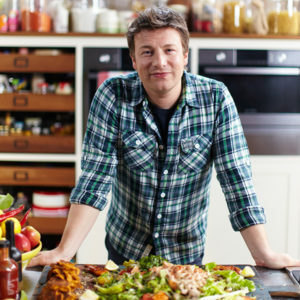 Jamie Oliver has some great recipes here using legumes. There is ongoing debate about whether we should be cutting down on carbs, especially if you have pre-diabetes or diabetes. The sensible approach is to cut down on low quality carbohydrates that don’t provide much nutrition and are easily broken down to sugar in the body. These include white bread, white rice, muffins, supermarket cereals, cakes and croissants. Instead, focus on “better carbs” such as wholegrains like oats/oatmeal, rye, buckwheat, quinoa, and vegetables including sweet potato, carrots, celeriac and swede and legumes. Don’t forget that fruit and veg all count as “carbs” and these are an important part of our diet. If you’re having trouble controlling your blood sugars, it would be worth cutting down on sugary and starchy white carbohydrates in your diet. Talk to your GP or one of the Medical Advisers at the Trust if you would like to find out more. Lowering your sugar and carbohydrates too quickly can put you at risk of a “hypo” or low blood sugar if you are on certain medication such as gliclazide or insulin, so seeking medical advice before you make changes is important. Diabetes.co.uk have launched a low-carb programme for people looking to improve their blood sugar control and more information can be found here. Processed food and drinks aren’t that great for you – and it’s better only to have them on rare occasions. What do we mean by processed foods? A simple way of thinking of it is that, if it was around in your Grandma’s day, it probably isn’t too processed! Generally, we’re talking about mass produced foods such as supermarket bread, crisps, cake bars, pot noodles, cereal bars, muffins and sweets. Don’t forget this can also include drinks, especially fizzy ones. The Mediterranean diet is less of diet and more of a way life. It involves enjoying home-cooked food with family or friends around a table, rather than ready meals eaten in front of the TV, or food on the go. It also involves being as active as you can be, drinking plenty of water, enjoying food and concentrating your diet on natural, plant-based foods. You’ll feel better and have more energy – so what’s not to like? Get some Mediterranean into your life!